Now that the holidays are here, I’m planning ahead to avoid ruining the progress I’ve made this year with Weight Watchers and a healthy lifestyle. 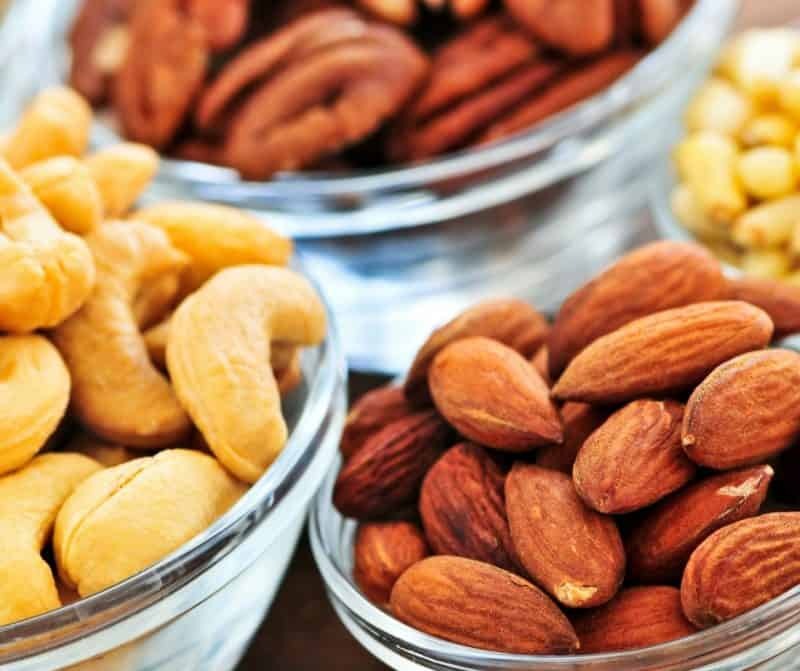 If you are looking for healthy holiday recipes, you’ve come to the right place. Today I’m sharing with you my Weight Watchers Thanksgiving recipes. This is an entire Thanksgiving meal that is all Weight Watchers Freestyle friendly! One of the worst parts about the holiday season is avoiding foods that I love because they are packed with points and unhealthy ingredients. This year, instead of missing out on my favorites, I’m sharing all the delicious Weight Watchers Thanksgiving recipes that I’ll be making instead! My family will get all of their holiday favorites and I’ll have the peace of mind knowing that we are all eating a meal that is wholesome, healthy, and delicious. How are the Weight Watchers Freestyle Smart Points calculated for these recipes? I use the Weight Watchers recipe creator on their website to input all the ingredients for my recipes and then the system generates the points per serving! I find it’s the most reliable way to get accurate information for Weight Watchers Freestyle Smart Points. Remember if you change any ingredients or amounts you’ll need to recalculate to be sure the points come out the same! What kinds of Thanksgiving recipes are you sharing? 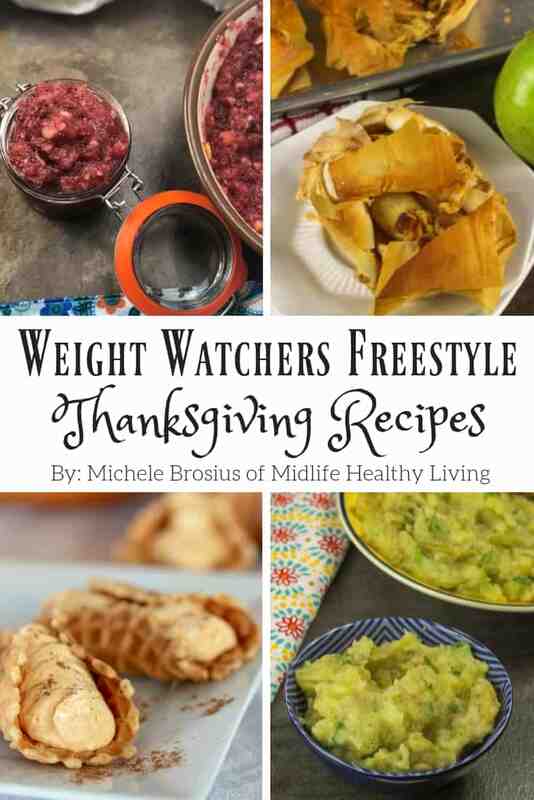 I have some great recipes for you that are all Weight Watchers Freestyle friendly. 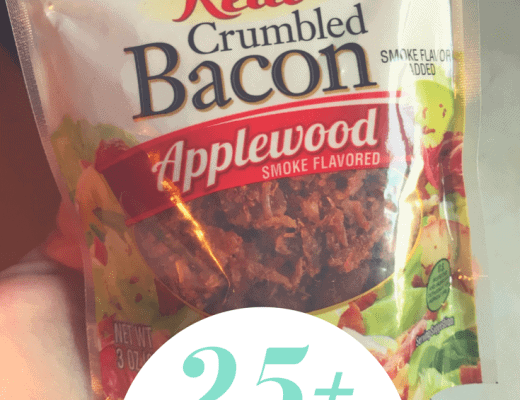 They include the Smart Points information and a printable recipe card! 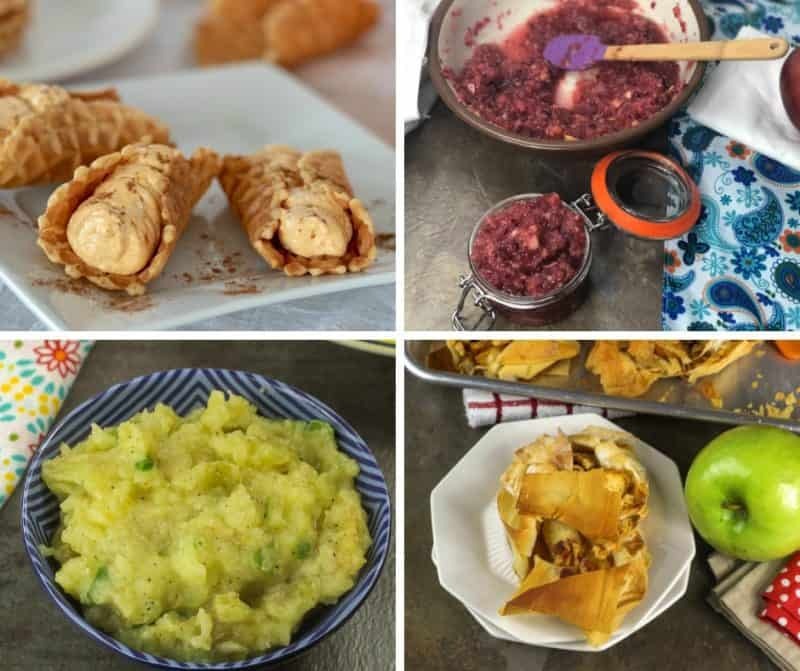 The Weight Watchers Thanksgiving recipes that I’m sharing include everything from the turkey right on through to the side dishes and desserts. There is truly something for everyone from start to finish. Let’s start in the obvious place…with the turkey! You’ll need to safely and effectively thaw that sucker out! Start with this post about how to thaw out a turkey so you can be prepared and ready to go when the big day rolls around. Next up we have some more great information on the turkey front…stuffing the turkey can be tricky if you’ve never done it before. This post details all the tips, tricks, and information you’ll need to get your turkey stuffed to perfection and on it’s way to your table. I assume you’ll need something to stuff inside that turkey! 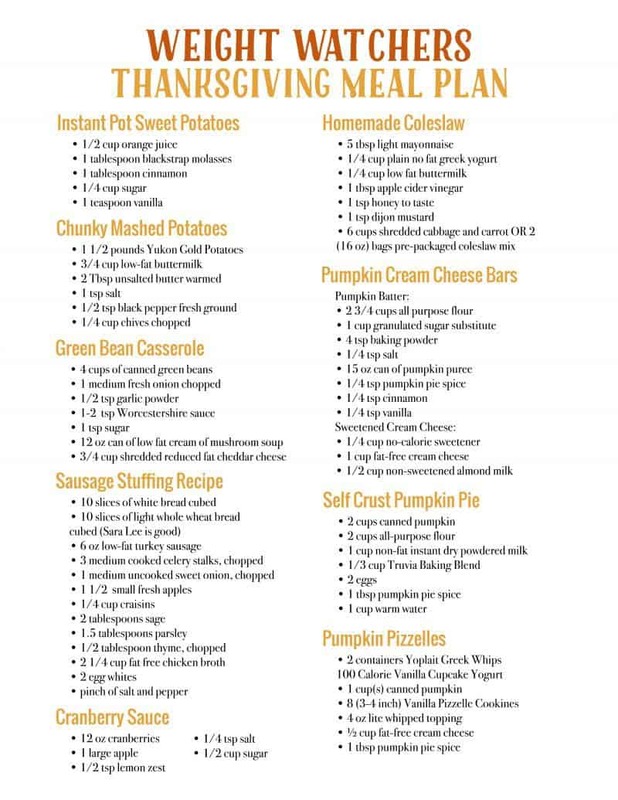 Here’s a great Weight Watchers Thanksgiving recipe that you can use to stuff your turkey or on it’s own as a side dish. Either way, you won’t want to miss out on these delicious flavors. One of my favorite side dishes for Thanksgiving is the candied sweet potatoes. Making them in the Instant Pot has been a game changer. They come out perfectly every single time! Now you can have a healthy version of this classic side dish too. I feel like the holiday table would be bare without some mashed potatoes. This is a delicious Weight Watchers Thanksgiving recipe that everyone will love. Chunky mashed potatoes are hearty, filling, and delicious. Best of all they won’t break your whole day of hard work. My family goes crazy for this Weight Watchers Thanksgiving recipe. It’s green bean casserole and you’ll be glad that you found a way to cut back on all those calories and fat! With these on the table it will be hard to save room for dessert! For just one Weight Watchers Freestyle Smart Point you can add some of this delicious homemade coleslaw to the mix! It’s a quick and easy recipe and you won’t believe how much money you can save over buying store bought types. Thanksgiving wouldn’t be the same without cranberry sauce. 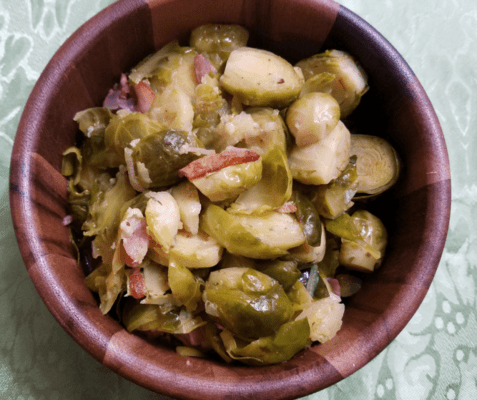 This delicious homemade variety uses fresh ingredients to make a delicious topping or side that you won’t want to miss out on. You will never want to go back to eating a can shaped jelly. Let’s talk about some desserts! I love desserts and I really hate when I feel like I can’t indulge because I’m low on points. Thanks to the delicious Weight Watchers Thanksgiving recipes linked above you won’t be out of points by the time dessert rolls around. These creamy and delicious pumpkin bars are just 3 Freestyle Smart Points, you can’t beat that! Have you ever tried a self crust pie? It’s a perfect idea for Weight Watchers Thanksgiving recipes because there’s no dough to bump up the points. Another reason it’s great is for those days when you don’t have a ton of time to spend baking…after working on preparing a delicious meal all day long! How about a holiday themed cannoli type dessert? These Weight Watchers pumpkin spice pizzelles are delicious, crunchy, creamy, and indulgent! They are too good to pass up and lucky for you, that’s not necessary! Adding in a little bonus here for you, this PSL is Weight Watchers friendly and so tasty! You won’t need to stop at Starbucks and blow your whole days worth of points! Whip up this WW friendly batch at home and you’ll be all set. Is there a shopping list for all of these great recipes? You bet! I’m including a shopping list for the tasty Weight Watchers Thanksgiving recipes mentioned above. 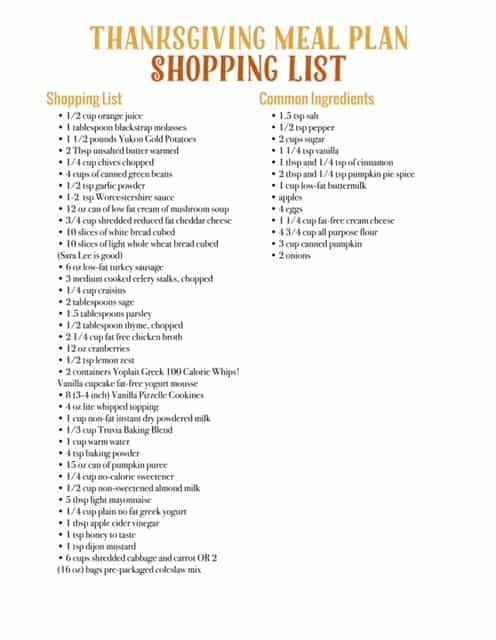 It’s easy to print out, cross off what you have on hand, and then head to the store! Makes a quick and easy breeze of the work involved in preparing for such a big family meal. Do you have a printable meal plan of these Weight Watchers Thanksgiving recipes? I sure do! I’m including that for you as well. It’s a nice visual that shows the breakdown of ingredients for each recipe so you know ahead of time how much of everything you are going to need!